Photography is permitted within the park. 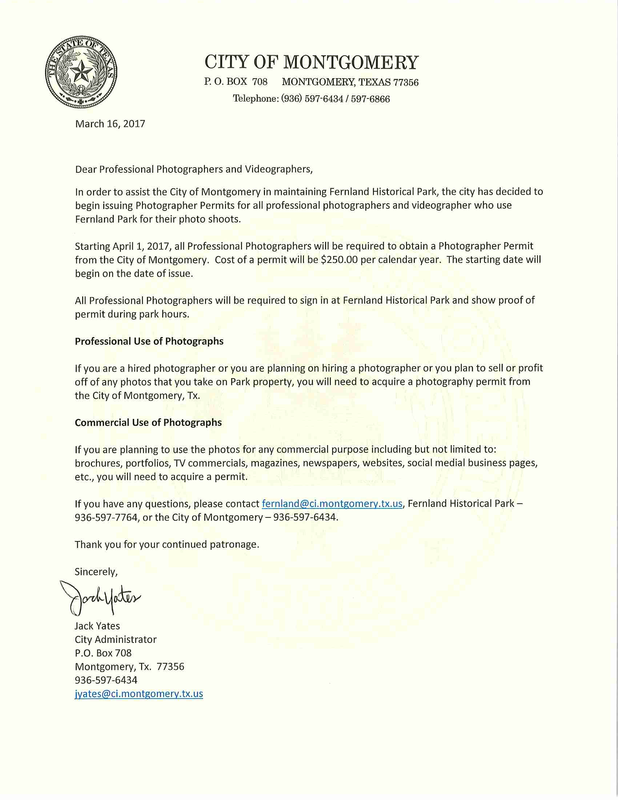 However, if you are a professional photographer, the City of Montgomery requires that you obtain a permit. The letter is below. Please contact the City of Montgomery if you have questions. These building provide a wonderful photographic backdrop, but they are old and fragile. Please be respectful. Thank you.